Written by CMOS Bulletin SCMO on February 1, 2018 . Posted in News & Events, Other. 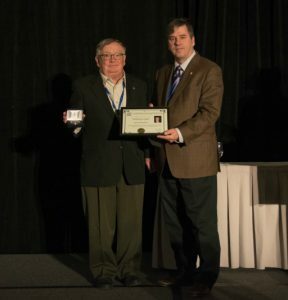 Each year, the Canadian Meteorological and Oceanographic Society recognizes significant achievements with prestigious awards and prizes. This tradition started with three prizes during the inaugural Congress of the Society in 1967. Today, there are eight awards, highlighting everything from recent research to life-time achievements. Four awards are restricted to Members of the Society. However, the other four awards are open to members and non-members alike. The deadline for nominations for the eight awards is February 15. Please take a moment to visit http://www.cmos.ca/site/awards for a list and description of the eight awards, and for instructions on how to make a nomination. A list of past recipients can be found at http://cmosarchives.ca/Awards/index.html. The Society also awards Scholarships open to anyone and Summer Workshops for K-12 teachers. Any inquiries and all nominations are to be forwarded to the CMOS Awards Coordinator, Denis Bourque, at awards-coord@cmos.ca.